We decided to head down for a four day weekend in St. George, Utah and Las Vegas, Nevada. We stayed at the Holiday Inn St. George to pick up some additional Priority Club points towards our goal of 10 more free nights at Intercontinental, or 300000 points. 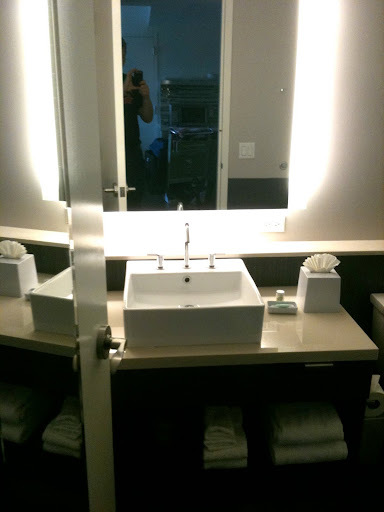 At check-in, I inquired about a room upgrade due to our Platinum status and was told that all the rooms were booked. I’m not sure that was true, but it was late and I didn’t want to argue with them. We had breakfast at The Bear Paw Coffee Company which is my kid’s favorite place to eat breakfast. 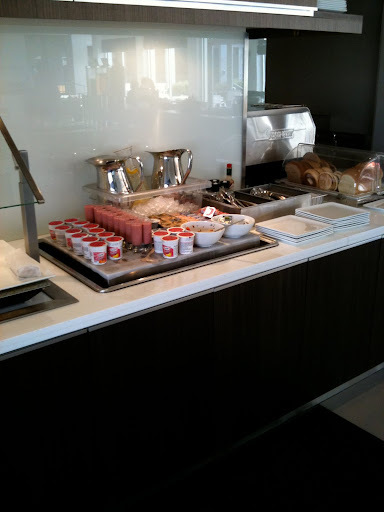 Off to Las Vegas, to stay at the new Westin Element hotel in Summerlin with our Starwood points. Billed as an environmentally friendly hotel, I was curious to see how it stacked up. The hotel itself is a bit off of the strip but right near I-215 and therefore we had no problem getting around to other places. Ironically, the hybrid only car parking was empty at the environmentally friendly hotel. 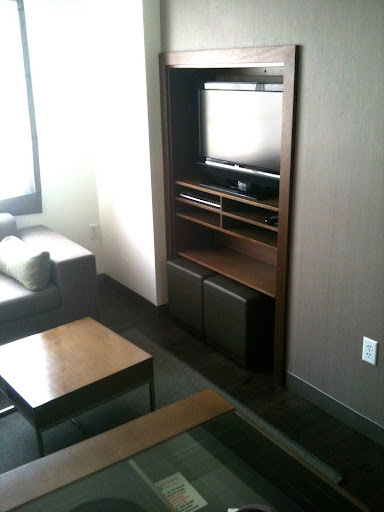 The room was large with two flat screen TVs. One was in the master bedroom with the king Heavenly bed and the other was in the living area where the fold out couch was located. A full kitchen with a stove and refrigerator as well. There are no ice machines in the hotel as we were told by the hotel front desk that it wastes water so we had to do with our ice tray in the freezer that the previous guest had left half empty. The pool out back was plenty big with two giant gazebos and plenty of chairs. The pool ranged from 3 1/2 feet to 4 1/2 feet – the perfect depth for our kids 6 and 8. The lobby area was very clean. They serve a large breakfast in the mornings. On weekends they have egg white breakfast sandwiches on bagels, pancakes, eggs, and sausage along with four types of cereals. On weekdays they have egg white and regular egg breakfast burritos along with the cereal selection. There is also orange juice, yoghurt, and milk. It was plenty of food and the entire family was fed enough. 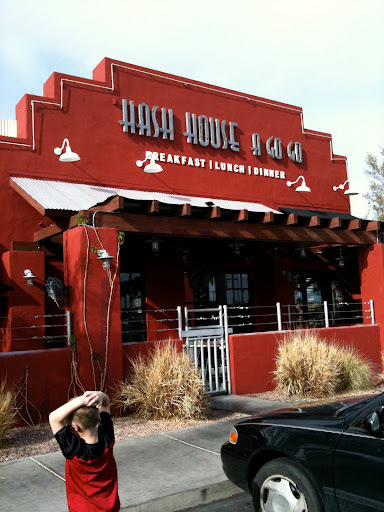 For our dining experience while we were there, we went to my favorite restaurant Hash House A Go Go. They have “twisted farm food”. This place is incredibly good with huge portions. It puts Cheesecake Factory to shame in food quality. I opted for the fried chicken and waffles, which isn’t necessarily in line with my life style change. 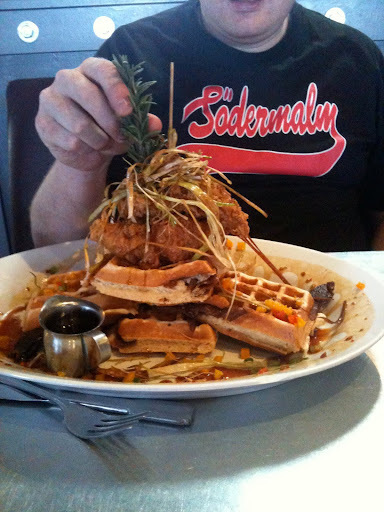 Perfectly cooked fried chicken with buttermilk waffles and fried leeks on top. 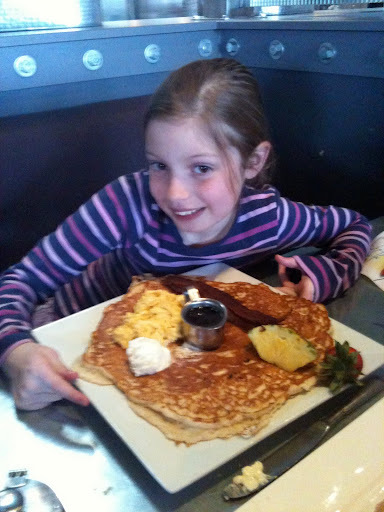 My daughter opted for the mega pancake with eggs and bacon. I highly recommend this restaurant next time you are in Las Vegas. Overall we were please with the Element Hotel. The staff was friendly, the workout room was plenty, large pool, nice and spacious rooms – and best of all, free with our points.